You have to agree that to a large extent, the best litmus test of what constitutes a great restaurant lies in whether or not one remembers the food eaten there, a couple years down the road. Having been at Salt Grill & Sky Bar two years back for restaurant week, the vivid image of an amazing appetizer, the crab omelette with enoki mushrooms is still left imprinted in my mind. It’s no wonder it’s been kept on the menu through the years as one of the restaurant’s signatures. I was back here again for an unraveling of the restaurant’s new menu offerings and post-renovation works. 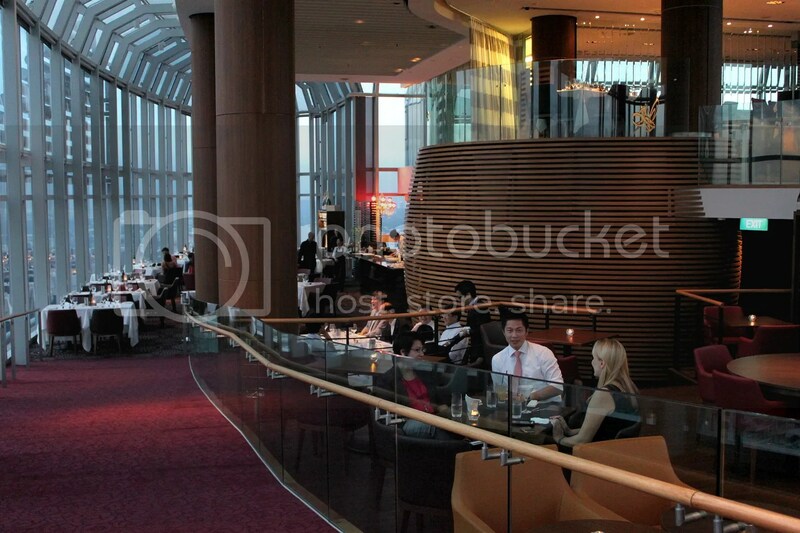 Shan’t bore you too much with the nitty gritty details and let the pics do the talking of the restaurant layout. 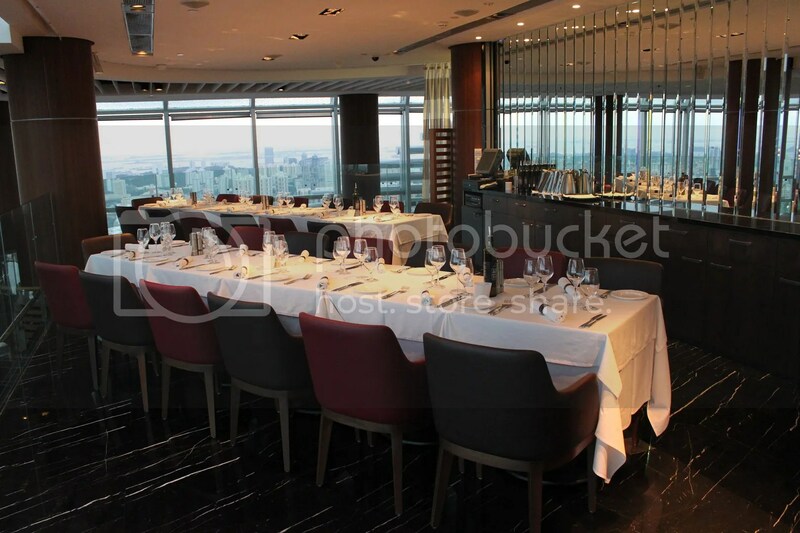 Essentially, the key difference is the repainting of the pillars to a more rustic hue and the relocation of the Sky Bar from the 56th storey (where in its place is now a private dining area) to the mezzanine level (between the 55th and 56th storey). 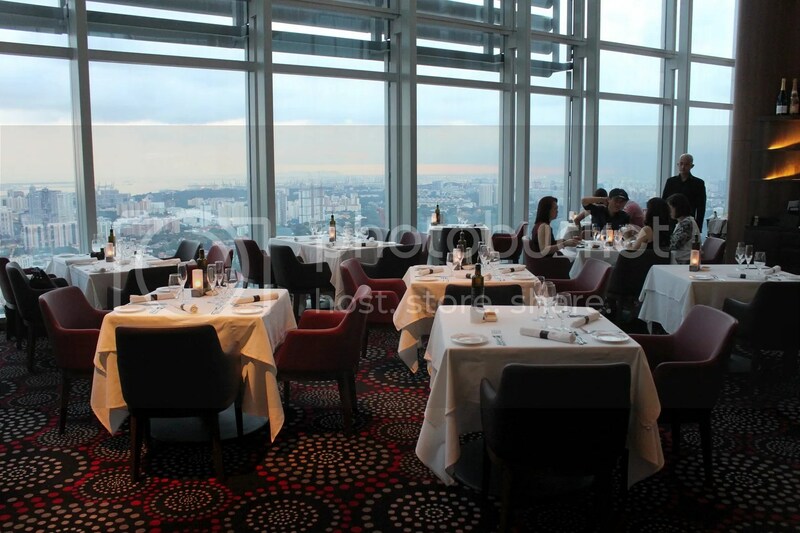 As mentioned above, the restaurant is perched on the 55th and 56th floor of Ion Orchard, providing a spectacular view of the Singapore skyline. 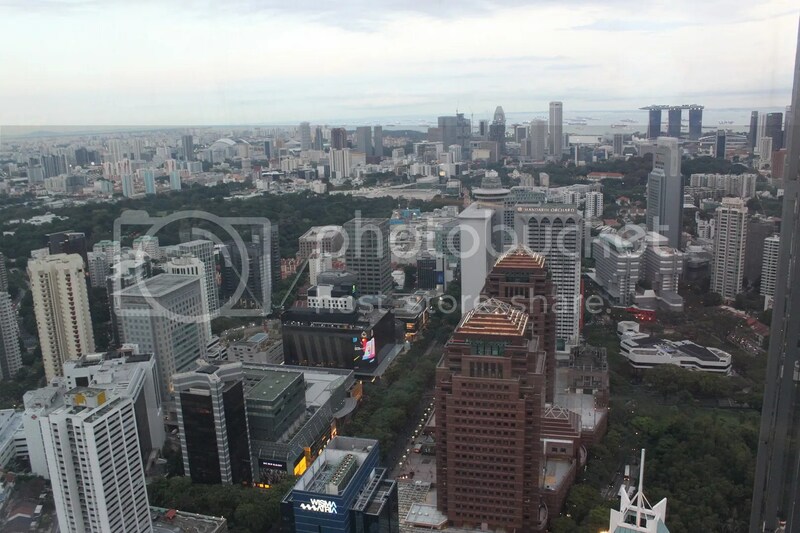 You can even see MBS in the distance. 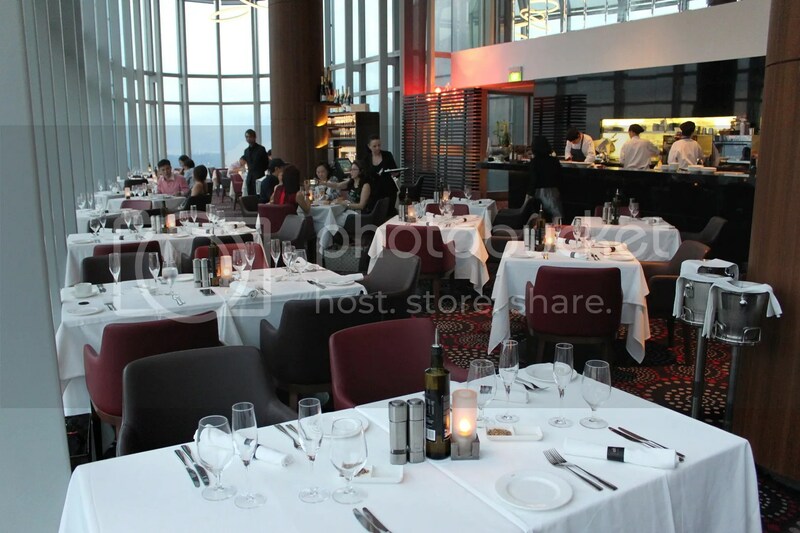 To access the restaurant, diners will have to take a private lift from the 4th storey of Ion. As this was an invited tasting, most of the dishes served today were tasting portions rather than full portions, just in case you are wondering why the portions look so petite. 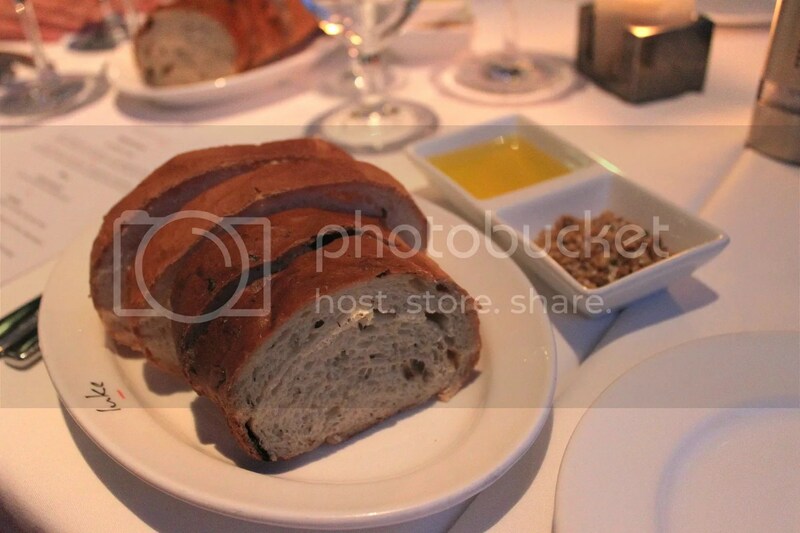 The complimentary Bread selection here is made in-house and served with olive oil and dukkah (a mix of Macadamia, Cashhew, Sesame, Cumin, Coriander and Salt). 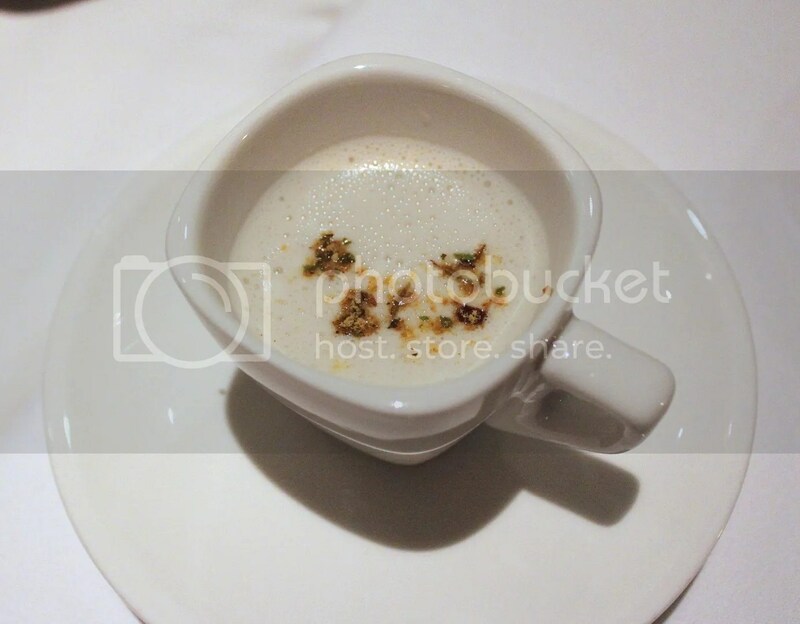 To kick off our meal, we had the Coconut broth with Sydney spice (Kaffir lime leaves, Lemon Myrtle, Tumeric, Ginger, Galangal, Chili, Garlic and Salt), which tasted much like an amalgam of a rich frothy seafood bisque and green curry. An interesting blend that definitely aroused my appetite. 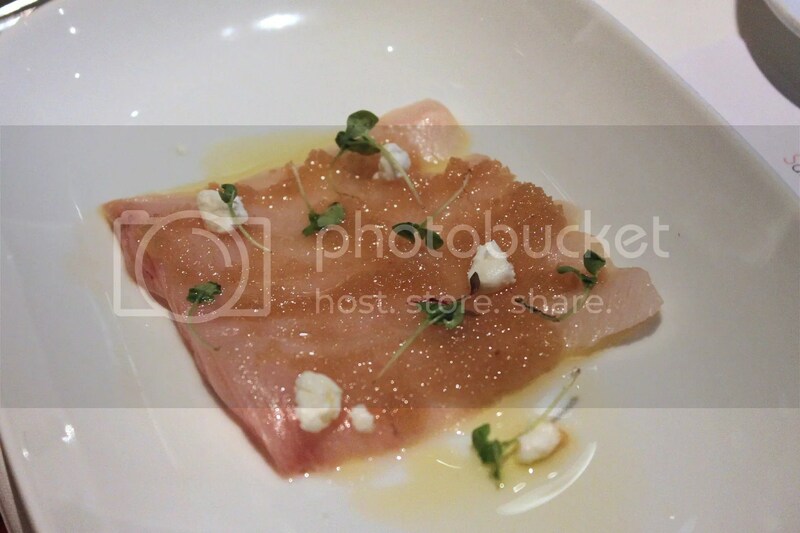 One of my favourite dishes that night was the Sashimi of Kingfish, ginger, eschalot & goats feta ($33++). 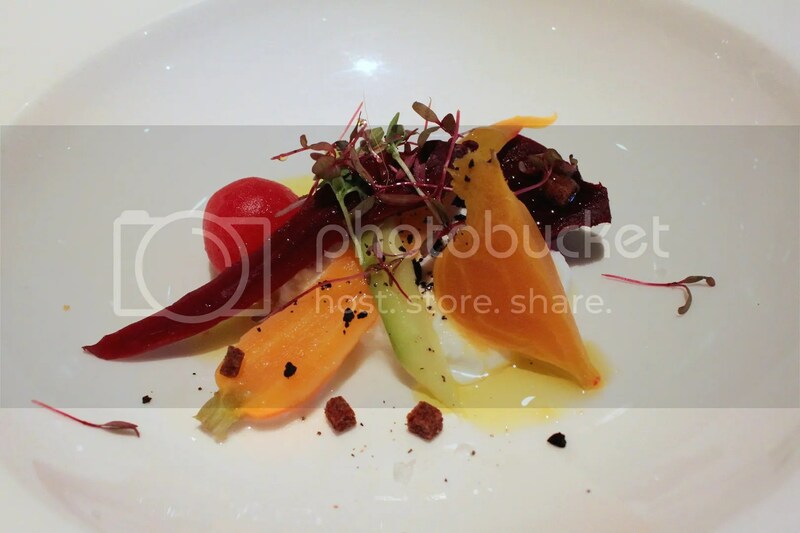 While the preparation for the dish is seemingly simplistic, the flavours brought forth were in perfect symphony. I liked how clean the sashimi tasted, indicating it’s freshness. The sweet ginger also paired well with the fattiness of the kingfish. I would already have given it full marks without the feta, as I felt that the pungency of the feta added little extra value. While not terrible by any standards, the Baby vegetables, goats curd, ginger bread crumbs, dried black olives ($31++) came across as the least impressive among the dishes I had that night. 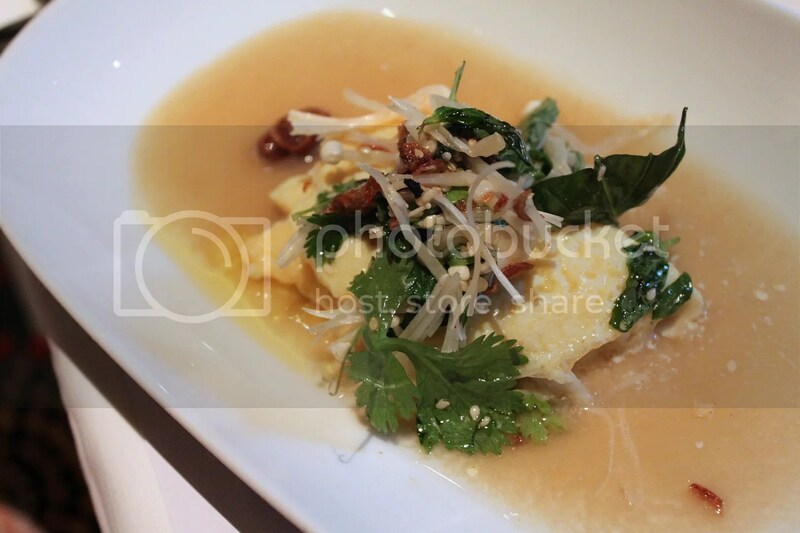 As a blast from the past, the ‘Glass’ Sydney crab omelette, enoki mushroom & herb salad, miso mustard broth ($33++) remained stellar as ever, with sheets of velvety omelette encasing slivers of sweet crab meat that complemented the briny broth well. The earthly enoki mushrooms also added a nice crunch to the overall texture of the dish. 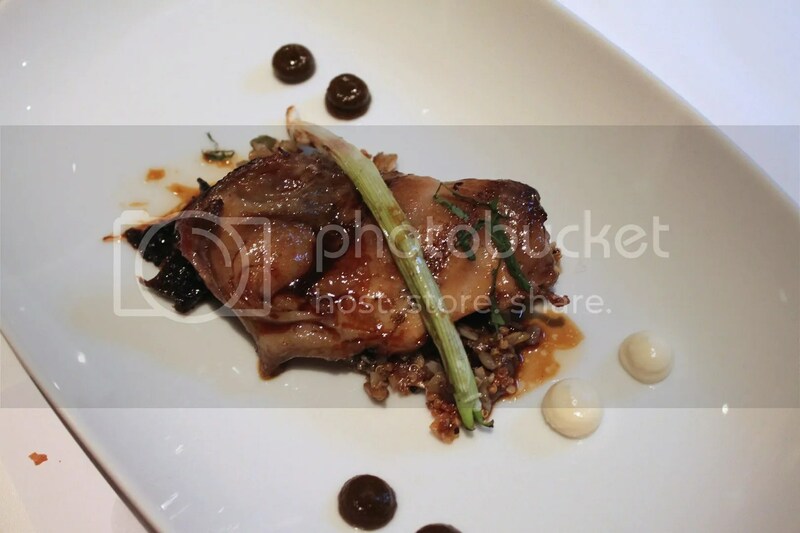 The Tea smoked quail, almond cream, prunes, grains, grilled shallot, sorrel ($31++) was noteworthy too, made even more impressive by the fact that well-executed quail can be rather hard to come by. I particularly like the flavours of the Earl Grey Tea that was infused particularly well onto the glaze, interestingly it reminded me of the deepness your senses perceive from a Garrett’s Caramel-flavored popcorn sans the sweetness. In the case where diners are interested to order a steak, the staff may wheel out a trolley of the different cuts available, facilitating the decision making process for diners. 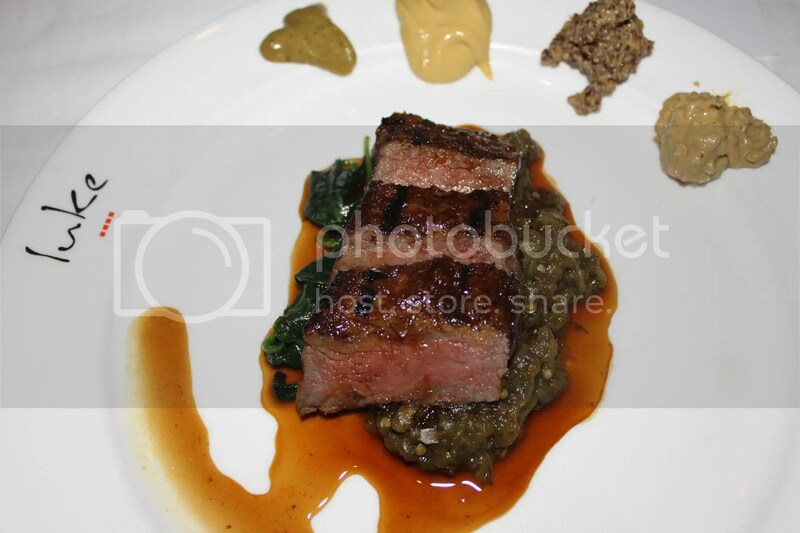 For ourselves, we had the 300-day grain fed Sirloin from Rangers Valley, New South Wales, which was marinated with Moroccan spice and served with sauté spinach, eggplant puree and red wine sauce ($74++). 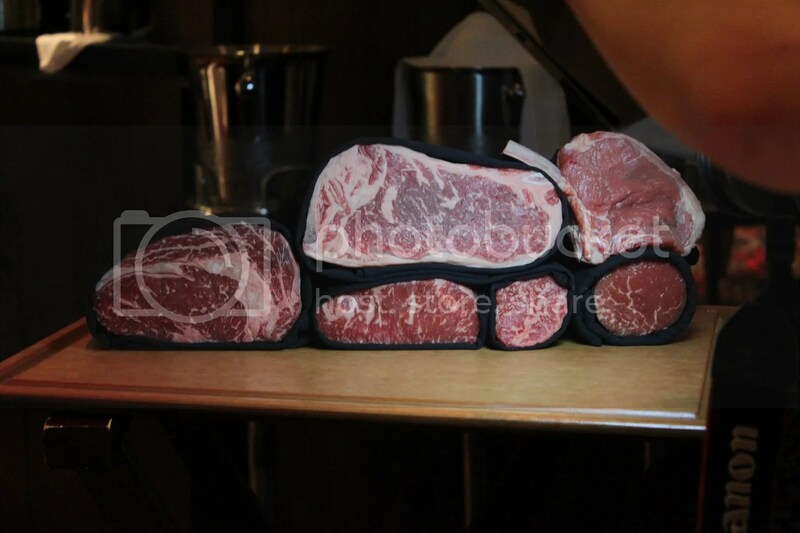 With a marbling score of 2+ (out of a possible 5) based on Australian grading standards, what I got was an average quality cut of beef that wasn’t extremely marbled and still required some chewing. 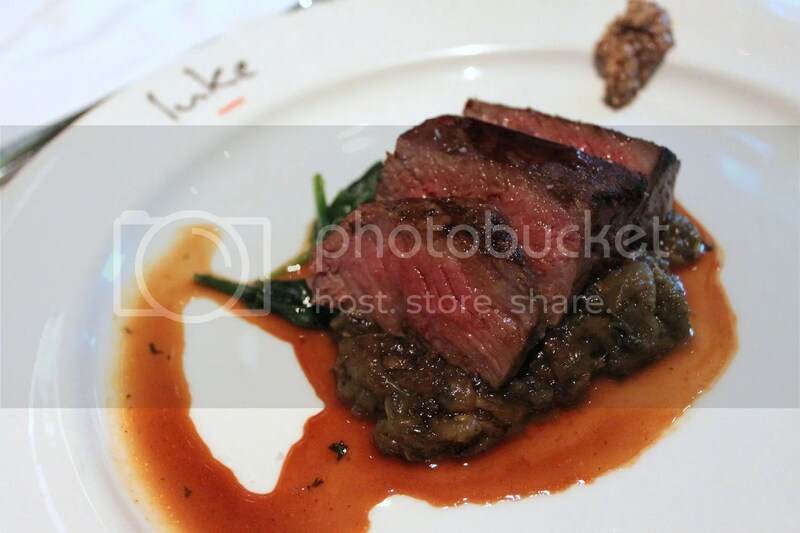 Personally, I thought this was appropriate for such a cooking style and as a main course, as an overly marbled piece of beef often leaves one feeling awfully oleaginous after just a few slices. 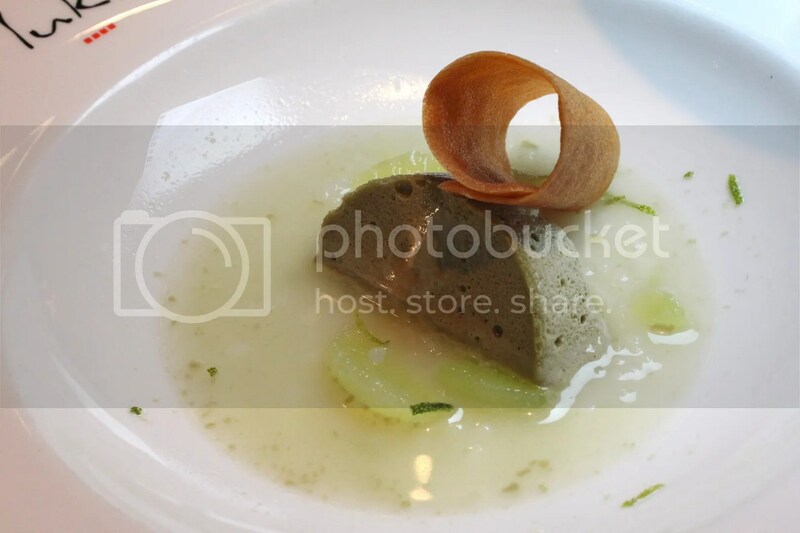 Another one of Luke’s signatures that we tried was the Liquorice parfait, lime ($18++). While I’m not fans of liquorice, overall the dessert proved to be a success. The outer layer of the parfait was liquorice flavoured but the inner core of the dessert tasted somewhat like an extremely mild frozen cheesecake which effectively toned down the liquorice. From the various drinks I tried, I would highly recommend the Salt cooler ($14++), a mocktail concocted from Strawberries, raspberries, blackberries, lychee, apple, cranberry juice and lemonade. Extremely refreshing without the envisioned tartness nor astringency from the berries. The restaurant’s signature cocktail is known as The Australian by Luke Mangan ($18++), made from Lime segment, lime leaf, ginger, cognac, gin, cranberry, shaken with Luke’s syrup. Found it a little on the strong side with strong hints of lime. Cocktails of the day are sold at $15++ and the one featuring that night was The Chocolatini, made from Vodka, white chocolate sauce, green apple syrup and creme de cacao white (Usual Price, $18++). Similar to The Australian, I found this a little on the strong side. On the plus side, this Chocolatini was really thick, unlike some watery versions I have had in neighbourhood bars. 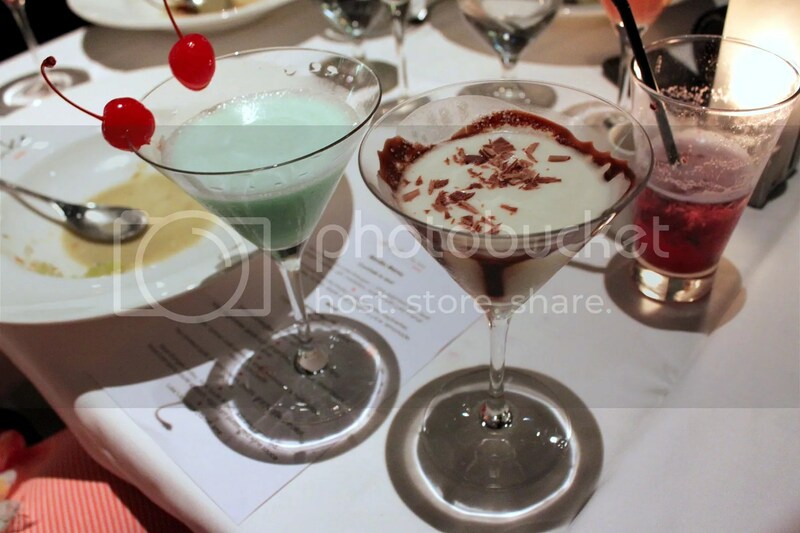 Before calling it a night, I would also recommend having a Grasshopper ($18++), a cocktail made from Creme de menthe, creme de cacao white and milk, tasting much like an “After Eight chocolate” and minty like Colgate, leaving your palate cleansed from the hearty meal. 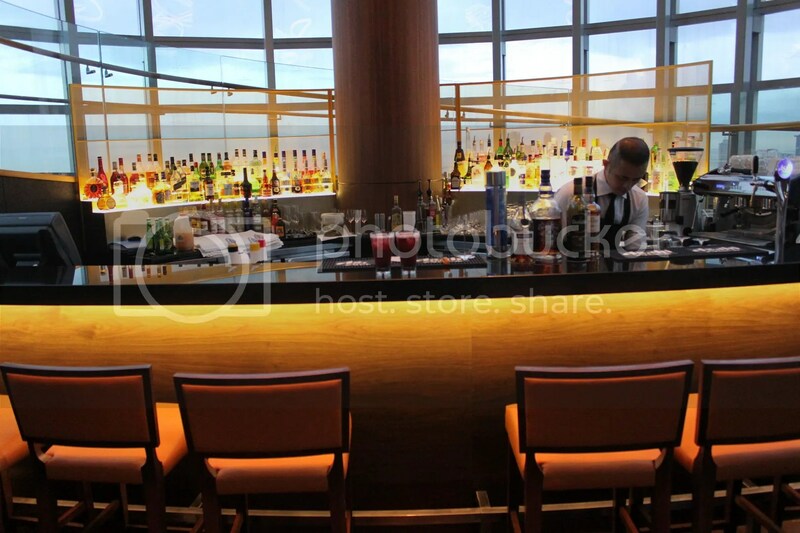 Special thanks to Salt Grill & Sky Bar for the invitation. You made my Wednesday night.